The KTM Nibong Tebal railway station is located in the state of Penang, on the mainland in Seberang Perai and is situated along the North - South Railway Line in Malaysia. Trains to Nibong Tebal are operated by Malaysian Railways (KTMB) with KTM Komuter Trains (commuter) stopping here on the route from Bukit Mertajam to Padang Rengas, as well a one ETS Gold service. Nibong Tebal is on the KTMB Komuter Utara train route that runs between Padang Rengas and Bukit Mertajam / Butterworth and operates every one or two hours throughout the day and evening. This is a very cheap and fast way to travel short distances by train. Parit Buntar, Bagan Serai, Kamunting and Taiping to the south. Simpang Ampat, Bukit Mertajam, Bukit Tengah, and Butterworth to the north. 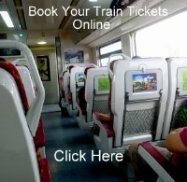 If you are traveling further north, you can change trains at Bukit Mertajam and take the newer Butterworth to Padang Besar Komuter Train to places like : Sungai Petani, Alor Setar, Arau and the Malaysia / Thailand border, with Shuttle connections to Hat Yai or the International Express to Bangkok. ETS high-speed trains to Nibong Tebal starting operating in 2015 and now can be used to travel quickly between here and popular destinations such as KL Sentral in Kuala Lumpur, Ipoh, Butterworth or to the border with Thailand at Padang Besar. Since Nibong Tebal station is not a major stop, KTM have changed the timetables many times and now one ETS service a day in either direction is now stopping here. To connect to the other ETS trains, you will have to catch a Komuter train first to Parit Buntar (if heading south). If heading north, you can now take a Komuter service all the way to the border at Pdg. Besar. All the old Diesel Intercity Express Trains have now been cancelled in this region of Peninsular Malaysia and replaced by a combination of long distance ETS and short distance Komuter services. If you are travelling by Komuter Train you just turn up at the station and buy your tickets on the day of travel. If you want to travel on the ETS Trains it is best to book your tickets in advance as they can sell out quite easily. You can either book you tickets in person at any main KTMB Railway Station or book online via KTMB, or you can use an online agent.